Automatic humidity detection Humidity & duration control Rubber finish The New Vapolux cool mist air humidifier by Lanaform helps combat dry air by increasing the humidity level of the room. ... cool steam diffuser Automatic humidity detection Humidity & duration control The NOTUS warm mist and cool mist air humidifier by Lanaform® helps you combat dry air by raising the relative humidity in the room. AEROpart® Humidifier, fillbar Version 1: - 250 ml filling quantity - Autoclavable - UNF 9/16" Version 2: - 250 ml filling quantity - Autoclavable - G 3/8"
You can mount this humidifier system to a wall or a cage. The standard male DISS fitting connects to 50 psi oxygen. You can connect a cannula line or silicone tubing to the tapered hose. The oxygen house is not included. DESCRIPTION The humidifier bottle is designed to increase water concentration within the oxygen flow supplied to the patient. One use only. Small unit for big results. The users can benefit of its long autonomy and its low consumptions. The dimensions are proportional to its noisiness. A humidifier is used to increase the moisture content of ambient air. These devices make breathing more comfortable. They help patients suffering from respiratory problems, throat irritation, colds, conjunctivitis, nasal infection or bronchitis. Certain models are able to diffuse essential oils or antibiotics. - Bubble models add moisture to oxygen supplied to a patient via a mask. 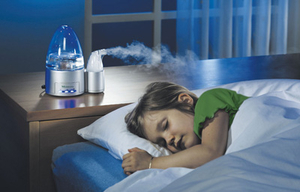 - Vaporizer, or steam versions are the most common types for room humidifying. However, they consume large amounts of electricity and are not recommended for children's rooms because they are noisy. -Ultrasonic humidifiers diffuse a cool mist. They are particularly suited to infant's rooms since they are the quietest type. - Electronic models disperse vapor and are self-regulating. Choice will depend on the machine's flow rate and the range of humidity levels it can achieve as a function of the room to be humidified. Specific use is another factor. For example, a quiet, ultrasonic model may be preferred for a child's room to avoid disturbing a sleeping youngster. Energy source, house current or battery, also should be considered.